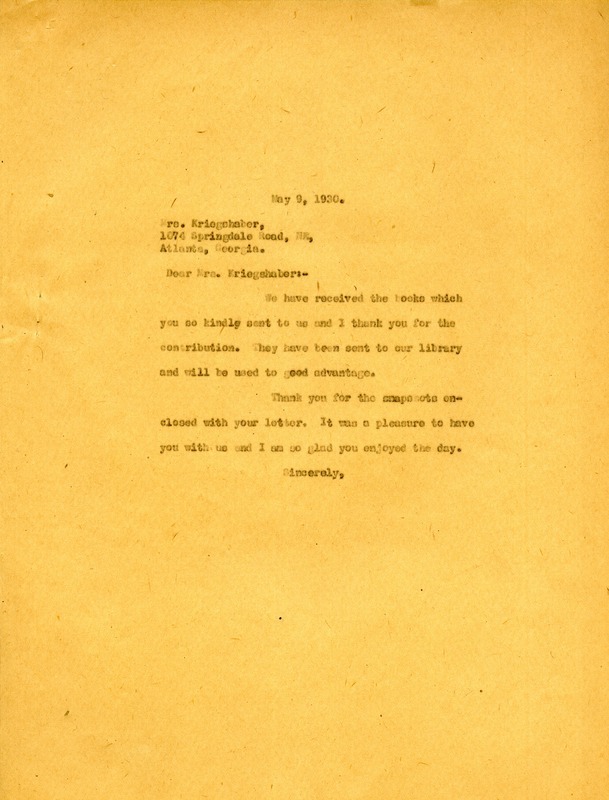 The letter is thanking Mrs. Kriegshaber for her donation of books to the library as well as the photographs she enclosed with it. Martha Berry, “Letter to Mrs. Kriegshaber from Martha Berry.” Martha Berry Digital Archive. Eds. Schlitz, Stephanie A., Sherre Harrington, Cassidy Sangrey, et al. Mount Berry: Berry College, 2013. accessed April 20, 2019, https://mbda.berry.edu/items/show/13116.